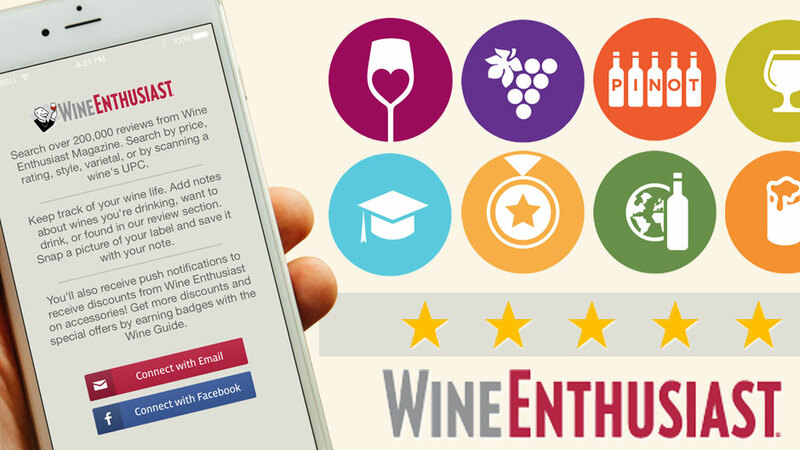 Search over 200,000 Wine, Beer and Spirit reviews and ratings from the editors of Wine Enthusiast Magazine in one amazingly simple app. Save and share reviews with friends. Create your own review notes to track the wines, beers and spirits you try. Review ‘Top Lists’ including: Top 100 Best Buys, Top 100 Cellar Selections, Enthusiast 100, Top 25 Beers and Top 100 Spirits. Search filters help users find the reviews and ratings they are looking for. Search by price, rating, varietal, and more. Share favorite reviews with friends on Facebook and Twitter as well as via email. Track your favorite sips by adding your own review notes. Snap a picture of a label and save it with your reviews for easy reference. Browse the Vintage Chart for an easy year-by-year guide to the overall quality and drinkability of the world’s wines. Scan a label’s UPC code with a built-in scanner so that you can trigger searches for wine, beer and spirits. Red Foundry helped the trusted editors of Wine Enthusiast Magazine create the Tasting Guide app, which offers a much richer experience than your every day wine app. By integrating with the extensive Wine Enthusiast repository of product reviews and ratings, the app mobilizes the delivery of the continuously updated Wine Enthusiast content when and where their users need it.